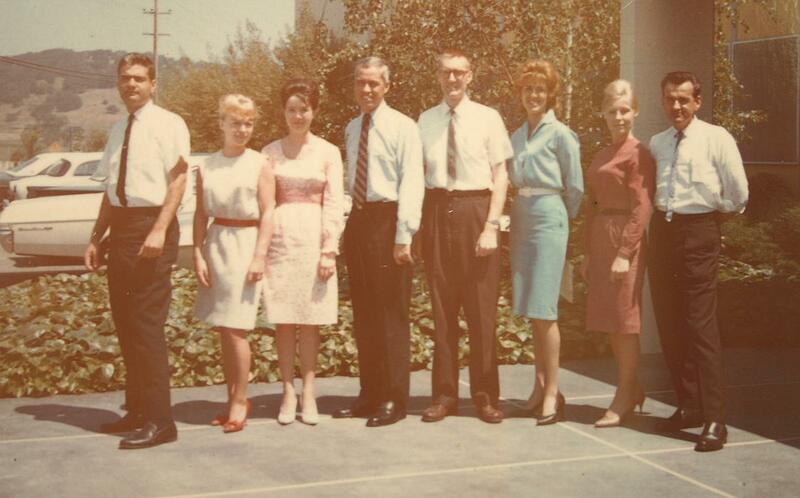 Most of the sales department at San Rafael sometime in 1965. From left to right...?, Bobbi Fox, Brenda Musgrave, Ward Gebhardt, Bill Walton, ?, Raghnild Trier, and Lee Rogers. Donated by Floyd Harris of Fairchild Semiconductor.